Mayors and Municipal Authorities can apply to Bousias Conference "Best City Award 2018" until September 27th by clicling here. • Are you saving energy and have you succeeded in reducing the environmental footprint of your city? • Have you adopted technologies or applications that make your city "smart"? • Do you have solutions that contribute to the better functioning of cities and improve their quality of life? • Do you contribute ICT to broadband, smart infrastructure and sustainable urban development? • Have you implemented projects that are helping people live safely? • Are you implementing innovations that transform your city into a viable city? Then do not hesitate, now is the time to show off your projects! Opening of "La Cité Fertile" Experimentation Space in Paris!! Are you visting Paris this fall? The Fertile City is a new territory of experiments, celebrations and meetings. This space-time conducive to collective fertilization brings us together to imagine and build a happy and lasting future. La Cité Fertile project is making the transition from the old train station to the future eco-district of Pantin. Every week from 15/08 to 14/10, La Cité Fertile invites you to explore a theme in the company of committed actors for a better city. Are you visiting Paris this summer? "It's the time of love, the time of friends and adventure ..."
The hour of our first exchanges around good beers and large tables. As a little taste of holidays on the green lands of Pantin! Come assist to the WebSummit in 2018! The WebSummit is organized since 2010 in order to celebrate and showcase the most recent technologic innovations in the world. It is the equivalent of Vivatech Event in France (where you can find a little less actors but a little more women protagonists). It was notamely declared the best tech conference on the planet by Forbes Magazine. 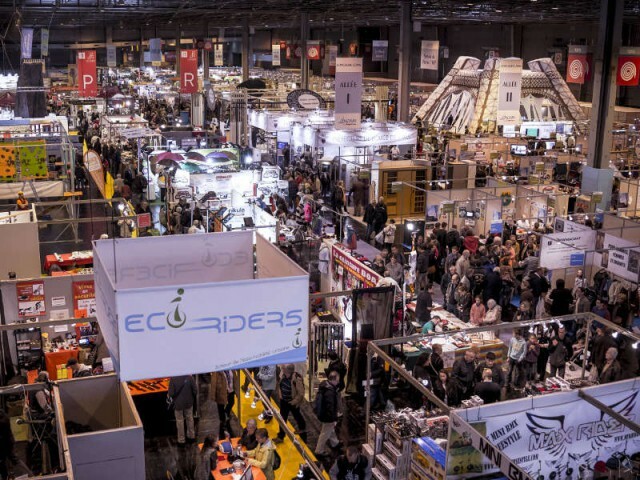 You can expect 70 000 attendees and more than 1200 speakers, ... Definitely an event fit for networking! Business France will bring 20 startups selected to participate to a business competition. Rendez-vous in Lisbon from 5th to 8th November 2018 ! From June 8th to July 19th, Leonard: Paris, the open laboratory for the future of cities and infrastructures created by VINCI, invites you to the Building Beyond festival. During six weeks of open and free meetings, let's imagine together the cities of tomorrow and discover the solutions and innovators who build them. About Leonard: Paris is the open laboratory for the future of cities and infrastructures, created by VINCI. This new coworking and meeting space is open to all VINCI employees and their innovation partners. Biodiversity, smartgrids, radical innovation ... You name it! All kinds of futures will be discussed to improve our cities. City of Paris "Grand Prix de l'Innovation"
The city of Paris encourages and encourages innovations in the field of innovations in the field of growing economic sectors, which has been funded by economic and inventive modes of living. The city is taking position, the highlight of the Grand Prix de l'Innovation of Paris(www.grandsprixinnovation.paris), since 2001. Do you have a project in one of the following sectors? Then compete to the Grand Prix de l'Innovation 201. The laureate of each category will receive 12,000 €! To participate in this great competition of innovative projects, fill out your application file before August 22, 2018 at noon on www.grandsprixinnovation.paris. The Grands Prix de l'Innovation of the City of Paris offers you a real opportunity to boost the development of your innovative project, do not miss this opportunity! 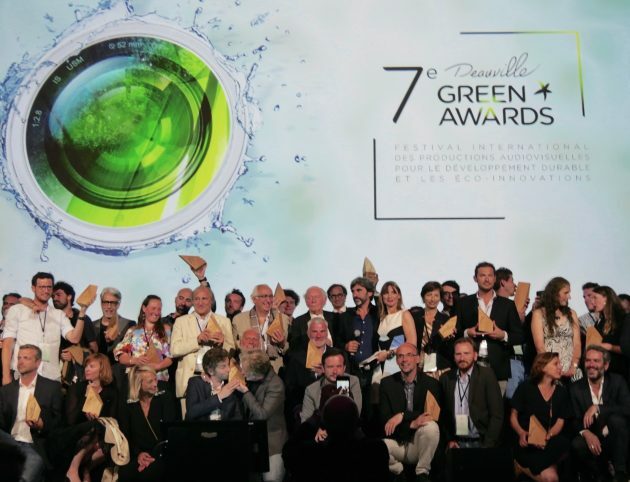 Innovative solutions and new technologies that can tackle the challenges of climate change were a key issue in various documentaries, corporate and commercials at the 7th edition of the Deauville Green Awards. This year’s motto was dedicated to the subject of water which should be also a human right. The shocking film Secos by Galut Alarcon shows what it means if people have no access to drinkable water. Chile is the only country in the world that has privatized its water in favor of agricultural exports and mines. The consequences are devastating for the local economies as well as for the environment. The daily dryness led to a hydro crisis. A strong message is also delivered in the Grand Prix-winning commercial Et si la gravité n’existait pas? that Olivier Fraysse produced for the city of Toulouse that has to deal with 40 tons of waste every day. Banque de France organizes with Ethikonsuylting, a consulting company specialized in accompanying innovation and management, an event where it welcomes big companies and startups to improve their management technics by creating games and open sources applications. Lets gather round on 4th and 5th October 2018 in Paris! As part of the organization of the Olympic and Paralympic Games in Paris 2024, the Paris City Hall, Paris & Co and the Parisian Month of Handicap organize an event rich in debates and meetings around issues related to disability. 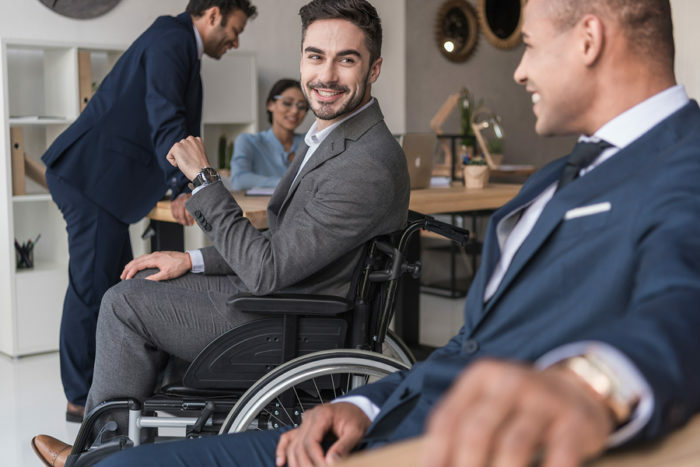 Come and attend the round table on the theme: "taking disability into account: innovation, business creation and public procurement" and discover the testimonials of startups, large companies and associations that will speak on the subject. Come meet the 27 exhibitors selected for the occasion during a meetup where will be discussed the topics of mobility, access to local services, sport, recreation, childhood and parenthood of people in situation handicap. This morning of exchanges will be held on Thursday, June 28, 2018, from 9h to 13h at the Pavillon de l'Arsenal in Paris.